This property has the objective to define the fields that allow sorting. The sorting of a field of the application is done in runtime, just by clicking on the column (field) that you want to sort by. By default, the GroupBy are respected while sorting the fields. Also by default, the first six fields are already marked (presenting an asterisk beside the field), so that they can be sorted without the user worrying about this detail. 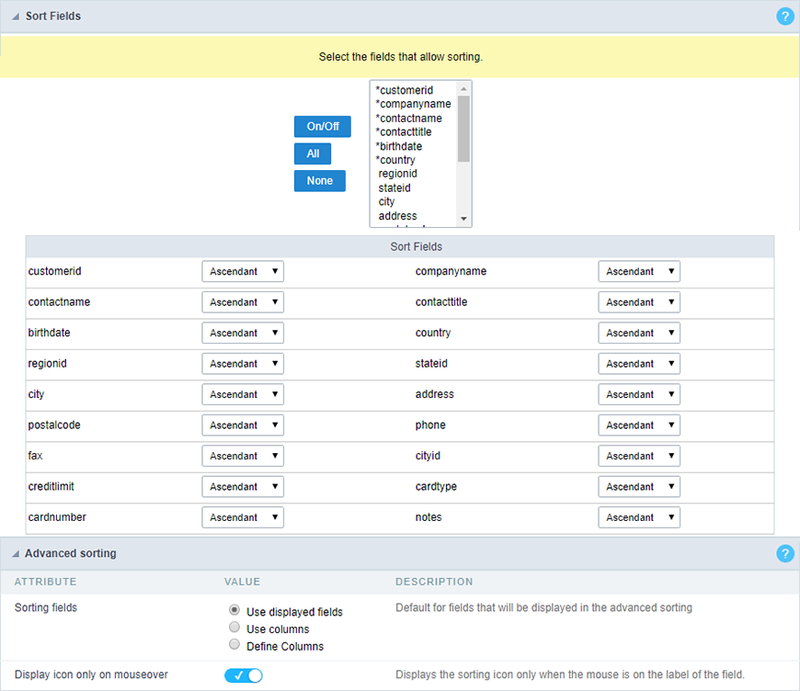 Define the configuration of the sorting for each field of the application, being “Ascendant” or “Descendant”. Define the fields that are available when clicking on the “Sorting” of the Grid. Use displayed fields : Defines that all the fields are available when clicking on “Sorting” button of the application. 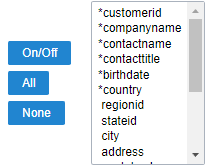 Use columns : Defines that all the fields, configured in the “Columns” option of ScriptCase, will be available when clicking on the “Sorting” button of the Grid.